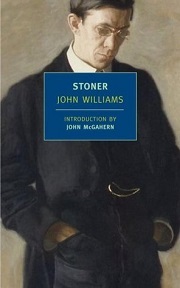 A few years ago, Stoner, a 1965 novel by John Williams, took the book world by storm. Just about everyone was reading and adoring it. I’ve finally read it, and, while I don’t exactly adore it, I found plenty in it to like. The novel tells the life story of William Stoner, born on a Missouri farm in the late 19th century. His hard-working, but uneducated father encourages William to go to college at the University of Missouri to study agriculture and perhaps learn something to help the struggling family farm survive. The studies of soil and so on go well enough, but it was literature that captured William’s imagination. So he proceeds to study literature and eventually become a professor at the university. He marries, writes a book, has a child, and so on. It’s an ordinary life, eventual in the way any life in eventful in that there are personal and professional conflicts, relationships that come and go, successes and failures. He ultimately leaves a small impact on the world around him, perhaps not as great as he could have or as he hoped to, but his life is pleasing enough that he doesn’t want to let it go. 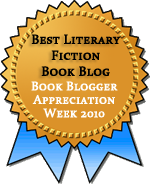 I imagine that it’s that sense of disappointed contentment that has captured so many readers’ interests. William has some beautiful successes, such as when he manages to outwit a professional rival in a hilarious passive-aggressive maneuver. But he also has some rotten luck, as when that same professional rival gains power in the university. There’s a sense that he hasn’t gotten what he deserves, but also that he’s lucky to have gotten as much as he did. I certainly found that balance of good and bad to be compelling and real. He became conscious of himself in a way that he had not done before. Sometimes he looked at himself in a mirror, at the long face with its thatch of dry brown hair, and touched his cheekbones; he saw the thin wrists that protruded inches out of his coat sleeves; and he wondered if he appeared as ludicrous to others as he did to himself. That tension between self-image and others’ perceptions seems to be a major concern of the book, and I found all of that pretty interesting. But the book has a serious, nearly fatal flaw in the characterization of William’s wife, Edith. The two meet and marry quickly, without really taking the time to get to know each other. In fact, the book offers almost no clear sense of why they married, other than William found Edith attractive and she didn’t care enough to object. Or something. She appears to exist merely to be an obstacle to William’s happiness because shortly after they marry, she turns into the worst wife imaginable. There are some vague hints that she was abused, but that doesn’t do much to create sympathy for her. For most of the book, she’s cruel in multiple and changing ways, until it’s convenient for the plot for her to stop being cruel. In essence, we’re given no sense of her inner life. I suppose it’s possible that Edith is meant to show how people are inscrutable to each other. She surely has reasons for what she does, but we have no opportunity to learn, just as William has no opportunity to learn because she cuts herself off to him. I don’t quite buy it, though. There’s a little too much attention to her (sometimes bizarre) actions when she’s alone for the problem to be merely one of perspective. It sort of makes me wish for Edith Stoner first-person fanfic that keeps her cruelty but gives her motivation. Other incidental characters suffer a bit from this lack of characterization, too. But their presence is minor enough for this not to bother me much. It’s the mix of intimacy and inscrutability that makes Edith a problem. Enough of a problem that I can’t join those who rapturously adore this novel. It’s not bad. There’s much to enjoy about it. But that emptiness at its heart keeps it from being great. I’ve started this a few times now but never finished. I think I’ll enjoy it when I do get round to finishing it! There’s definitely a lot to like about it, even if I didn’t love it as much as others do. I didn’t think of this back when I reviewed it, but your review makes me think of the David Lodge novel Nice Work. There’s an emptiness to many tales of even-partial academic success. I haven’t read that! David Lodge has been on my list to read for ages, and I may even have owned that book at some point. I’ve seen this praised but not read any detailed reviews. It does sound the lack of insight into Edith’s character would keep it from being truly satisfying. It hampered my enjoyment for sure.